Pest Control - B&A Mfg Co.
B & A Treating Rods are designed for use by exterminators who must spray pesticides under concrete or wooden floors to eliminate termites and other unwanted pests. 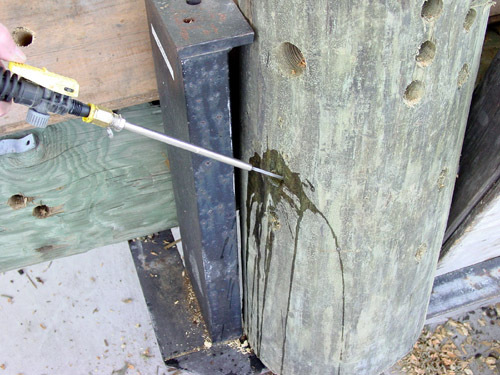 A hole is first drilled through the floor or wall and then either a side opening or end opening treating rod is inserted so that the end of the rod is exposed past the drilled hole into the soil below or void where the exterminator applies the pesticide. 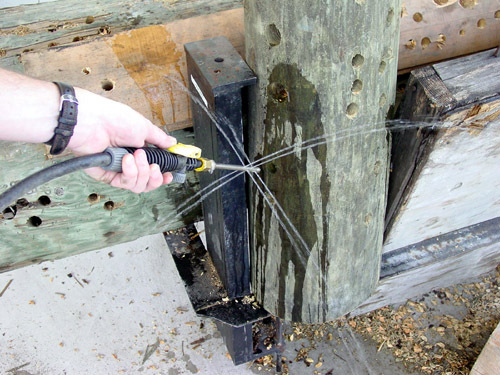 Made with a 1/4" NPT threaded coupling, B & A Treating Rods will fit any conventional hand-held pressure sprayer. For a single solid straight stream, use the end opening. B & A’s non-carbide Bell hanger drill bits are specifically designed for small wire installation applications. 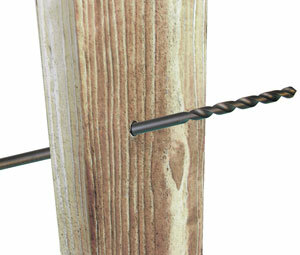 Telephone, security alarm, fire alarm, cable, network installers, electricians, and other professionals all use these unique drill bits to drill holes through walls, studs and other obstacles to fish the small wire back through the drilled hole with ease. 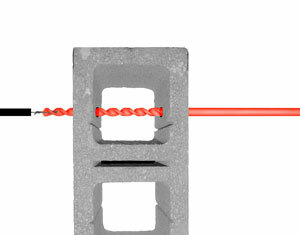 HDBH series bits are designed for drilling through wood, plaster or drywall. The Carbide Tipped Bell Hanger is designed for making holes and fishing wire through these holes for all electrical, telephone, security-alarm, structured wiring systems or any small wire installations. 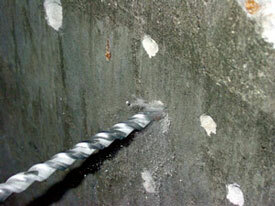 A hole is provided in the flute for connecting the wire to the drill bit and pulling / fishing the wire through the wall. Flutes are designed for faster, smother, and cleaner holes in all types of material. The versatile Slot Drive System (SDS PLUS ®™) fits all rotary hammers that specify a SDS PLUS ®™ Shank. This positive drive slot system delivers maximum drilling torque and maximum hammer energy for faster drilling. B & A has combined the "Ultra Flute" and the SDS PLUS ®™ shank to achieve a union that makes our SR Series the fastest drilling carbide-tipped hammer bit of its type! B & A’s most popular masonry drill bit series has a special slow spiral flute that gives exceptional strength with rapid debris removal. Combined with a special carbide tip, this bit provides long bit life at a reasonable cost.. The Rotary Chuck Driver ™ enables any Spline, SDS MAX ®, or SDS PLUS ® hammer drill to be able to use any rotary drilling accessories. The Rotary Chuck Driver ™ incorporates a versatile shank system that features a heavy duty 1/2" keyless chuck. The shank of the Rotary Chuck Driver ™ has been designed to prevent the anvil of the Spline, SDS MAX ® or SDS PLUS ® from striking the end of the Rotary Chuck Driver ™. This effectively, by passes hammer / percussion action of the hammer drill, but allows for full rotary action and full torque to be transmitted to the Rotary Chuck Driver ™ and any tool installed in it. 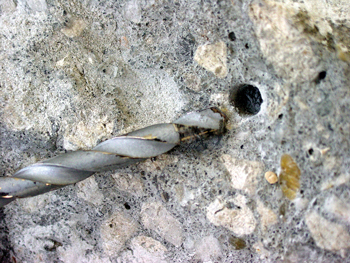 When encountering applications requiring core drill bits to drill through multiple layers of materials stacked together, such as wood, steel, concrete, rebar, and a host of other material combinations, diamond drill bits performance can be hindered or completely prohibited. The Best & Available alternative is the B & A Wet / Dry Carbide Tipped Core Drill Bits. 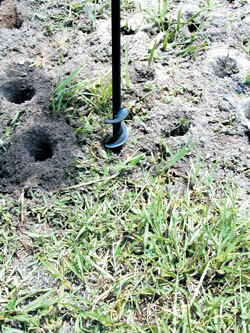 Designed to solve these difficult jobs encountered by the drill professional. 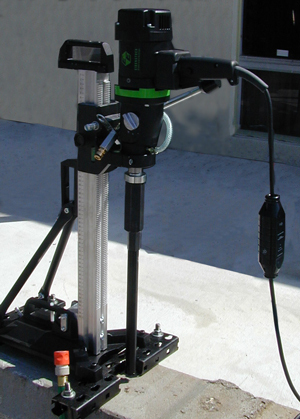 Designed for use in a drill rig, the B & A Plate Cutter is the ideal choice when a combination of concrete and steel is being drilled. Steel plate, embedded rebar, or even wire mesh, are not a problem for the B & A Plate Cutter. This series can be used wet with a small amount of water or even dry. The Plate Cutter can be completely rebuilt and unlike fragile diamond drills, the Plate Cutter will withstand rough usage. Not All Diameters are nominal; exact tolerances upon request.